The Rt. Hon Charles Seale-Hayne, a local land owner, entrepreneur and Liberal MP, bequeathed £100,000 on his death to be invested in establishing a "college for agricultural and technical education in the immediate neighbourhood of Newton Abbott." The Board of Agriculture decided that Seale-Hayne would be a way of furthering their objective of expanding the education of science and practice of agriculture in the South-West. Work on the Seale-Hayne Agricultural College started with the first foundation stone of the college being laid on 28 November 1912 by Rt. Hon W Runiciman, President of the Board of Agriculture and Fisheries. Construction of the College neared completion, but opening was delayed due to the onset of WWI. The College was offered to the War Office and was used to train 'land girls' for farm work; this helped generate some income. The College was requisitioned as Seale-Hayne Military Hospital for neurasthenic cases where pioneering treatments using novel methods, which are still used today, were carried out. Seale-Hayne officially opened as an Agricultural College. The first 37 students arrived just after 1 January from varied backgrounds and an intake age ranging from 16 to over 40. Seale-Hayne had a long and sometimes anxious period of development - student clubs including the Old Seale-Haynians for alumni were formed and the College began to feature at agricultural shows. The first woman students were admitted to the College and Frank Horne, a previous College graduate who returned to become head of biology, was instrumental in starting courses towards a Degree in Agriculture. When WWII was declared, the College was requisitioned for training of the Woman's Land Army (WLA). By December 1942 over 800 women were trained and Seale-Hayne had become a centre for research and development to aid the war effort. The College saw huge development of building facilities and an unfettered expansion of agricultural development. Many Seale-Hayne students found employment in the National Agricultural Advisory Service (later ADAS), the Agriculture Department of the Overseas Civil Service and ancillary industries. 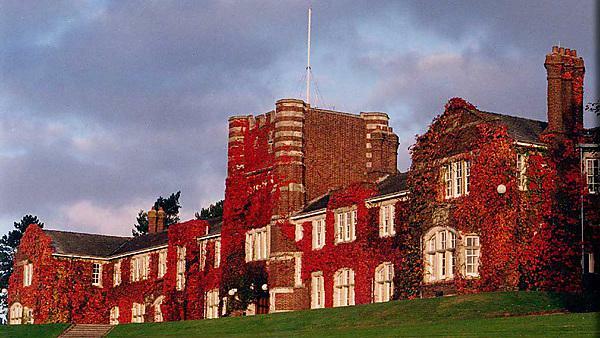 Seale-Hayne's reputation established as arguably the premier agricultural college in the UK, as funding changed from the Ministry of Agriculture to the Ministry of Education. Seale-Hayne significantly expanded student numbers and courses. Considerations to merge with a larger establishment began in order for the College to survive - negotiations started with Plymouth Polytechnic which was planning to apply for University status. Seale-Hayne Agricultural College merged with Plymouth Polytechnic and its final principal, Dr Fred Harper, became Dean of the Seale-Hayne faculty. Plymouth Polytechnic achieved University status. At a time of recession when the University focus was on establishing and expanding the main Plymouth campus and when many agricultural institutions and faculties were closing throughout the UK, the difficult decision to close Seale-Hayne was announced, with all courses transferring to the Plymouth campus. The Seale-Hayne Future Group was formed to campaign for retention of education at Seale-Hayne and food production at the farm. The college closed and many Seale-Hayne staff transferred to the University campus in Plymouth. The College was bought by Dame Hannah Rogers Trust, establishing Hannah’s at Seale-Hayne, and a local farmer bought the farm.